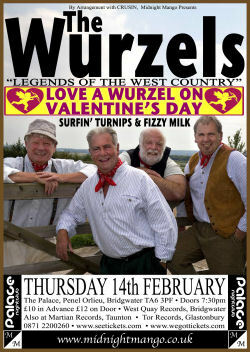 Posters produced by West Country promoters Midnight Mango for their two-date Love A Wurzel On The Valentine's Tour with The Wurzels playing in Bridgwater and Frome. 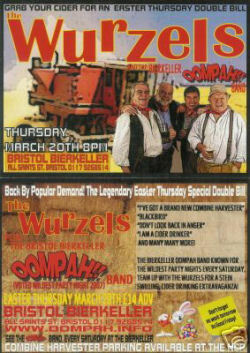 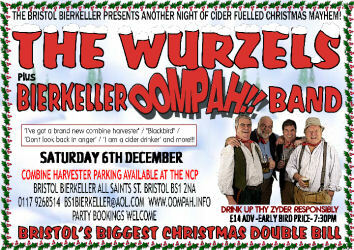 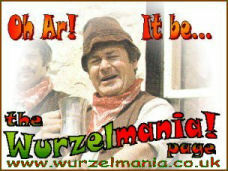 Posters produced the Bristol Bierkeller for their Wurzels gigs in March (left) and December (right) 2008. 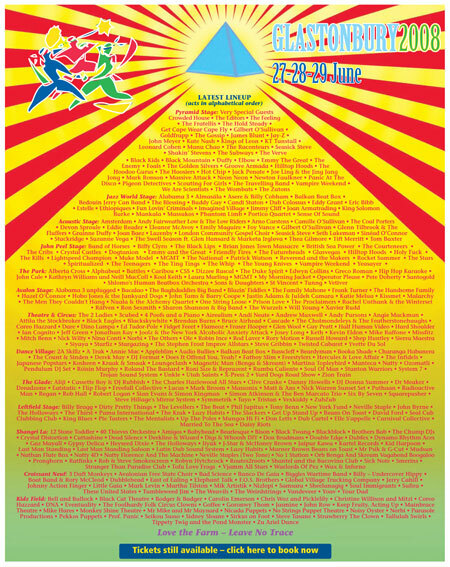 Summer festival flyers: The Official Glastonbury 2008 line-up poster (left) - the Wurzels are in there folks! 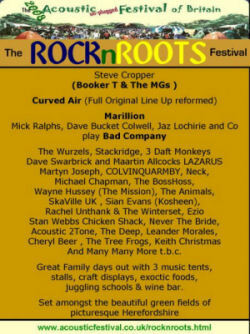 - and the The Rock 'N' Roots 2008 line-up poster (right) - The Wurzels are listed, but the whole event was cancelled so no-one played!